The other day Little Miss I, who has been surrounded by flowers at my mom’s house in Mexico, was wondering how you can extract the scent of a rose and make perfume. I asked her in return how she thought she could do it. 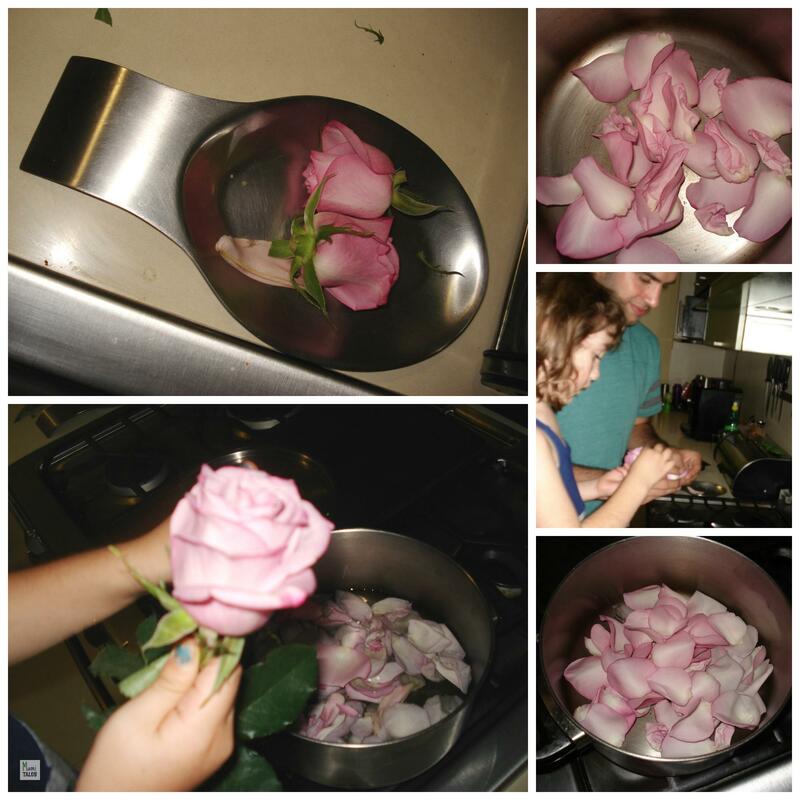 She then said that maybe we could boil the roses and then that would make the liquid smell like the flower. I told her that was a great scientific experiment and she should try it. She took a red rose (which unfortunately didn’t smell) and boiled it. All we ended up with was red water (which was interesting to know, as she learned that even though she didn’t get the rose smell, she at least extracted the rose’s color). We decided to wait until her uncle got to Mexico (he’s studying chemistry) to repeat the experiment. And we also made a point to get more fragrant flowers for our next try. 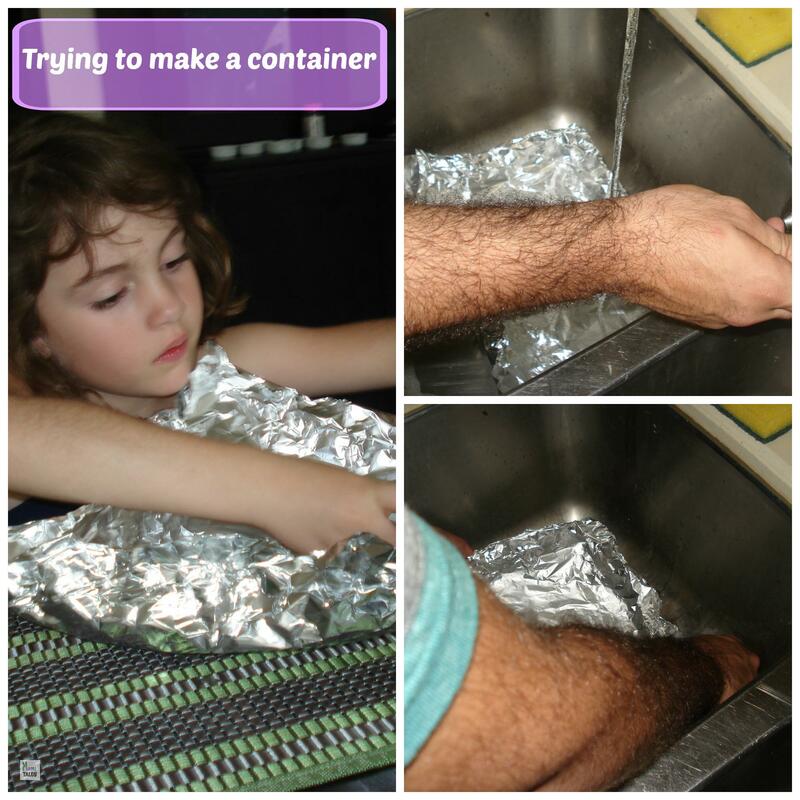 So, once we were ready to start, Little Miss I decided that the way to do it was to make an ice container with aluminum foil, so that the ice and the roses would get together and make the shape that she wanted. So she set to make her container and we showed her how it wouldn’t work — as it had to be liquid first, before being made into ice, and it would break and be very hard to transfer into the refrigerator. 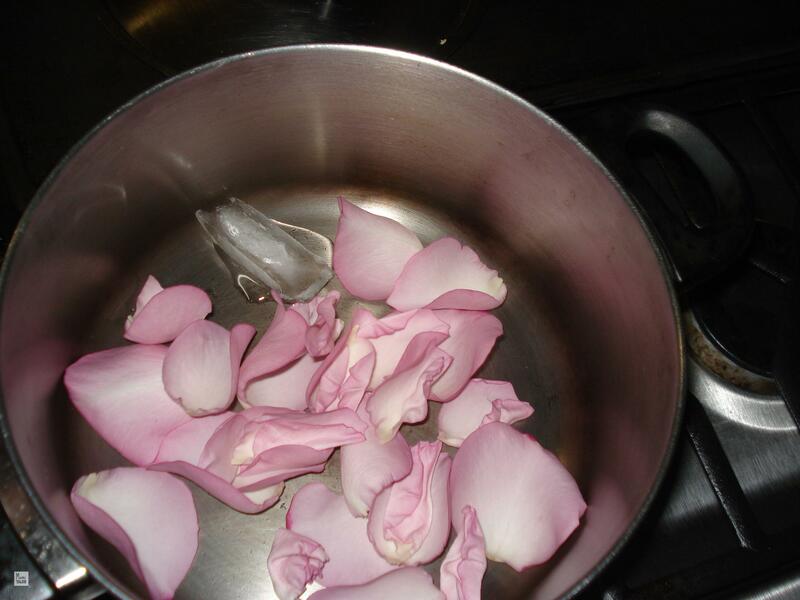 She then said that what she was thinking was about boiling the ice with the roses. So we proceeded to boil some ice along with some rose petals, so she could see what would happen. By doing that she finally realized that ice does melt with heat and turns into water. And then she finally understood why her idea for a container was not a good one. Little Miss I and her uncle tore all the petals from 2 pink roses that were slightly scented. They wanted to boil down the mixture enough to see if they would be able to extract the scent of a rose from those. They put some water and the petals to boil and reduce for about 15 minutes. From two cups of water they reduced the liquid to one cup. 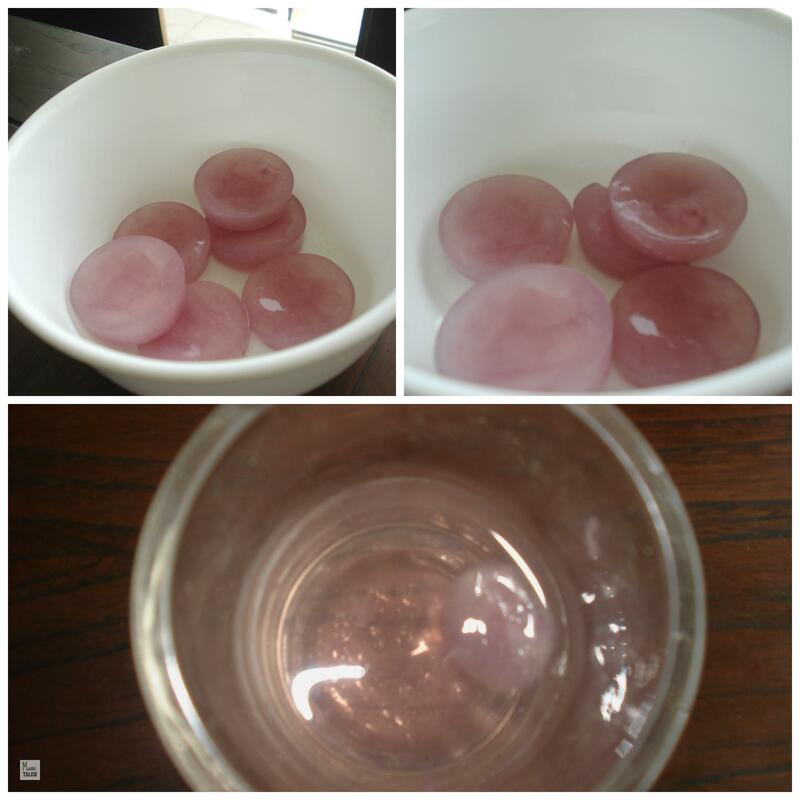 In the end they had a pinkish liquid, but it didn’t seem to have a scent at all. They decided to chill it and see what would happen once it froze. 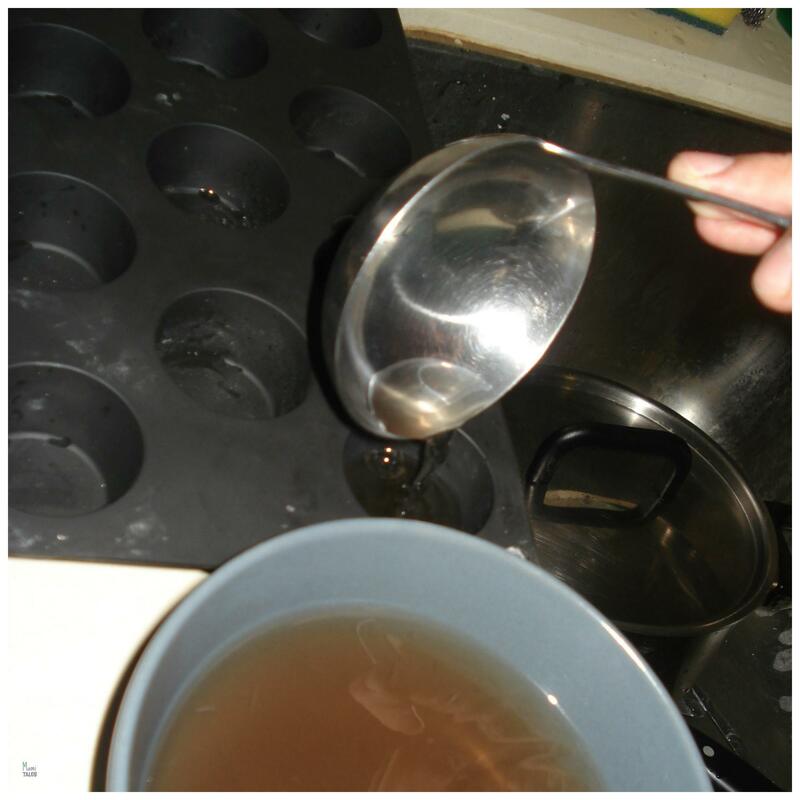 So they pour the cooled down liquid into mini-cupcake tins and put in the freezer. Once she got the frozen rose-water out of the freezer she got some very pretty looking ice, but unfortunately it didn’t have any smell at all. She dropped on in a glass of mineral water and it did fizz a bit. She tried it but it didn’t really taste like anything. In the end she concluded that in order to extract the scent of a rose, it has to have scent to begin with… I’m not quite sure what makes flowers smell, but they most definitely be very fragrant in order to maintain the smell and taste once you boil them down. What I like most of all this exercise is the fact that Little Miss I is formulating theories and creating experiments to test these. Do you have a better method to extract scents from flowers? Tagged Science for kids, Science Projects for kids.